Grant Law Office is offering a $1,000 scholarship to one deserving high school or college student in the state of Georgia. The deadline to apply is May 30th 2019; and we will be announcing our winner on June 27th 2019 on our blog and Facebook page. We look forward to reading your submissions, and wish everyone the best of luck! For inspiration, have a look at last year's winner. 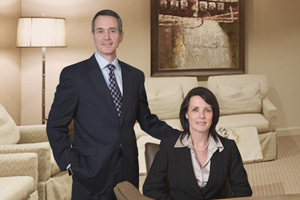 Wayne and Kimberly Grant are parents to four children as well as successful trial attorneys. Outside the courtroom, they have many other interests, but find that passion comes in handy no matter what you choose to do. For this scholarship, please let us know about something you love to do, and explain why. When did you take your first steps towards this passion? How will college help you pursue this passion? Copyright ©2019 Grant Law Office - All Rights Reserved.